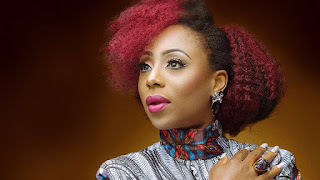 Talented and popular Nollywood Actress, Dakore Akande has revealed that since the beginning of the year she has been selective about who she works with, and that her passionate kiss with actor, Richard Mofe-Damijo popularly known as RMD was part of the job. The actress while speaking on kiss picture with RMD which went viral on the internet noted that the kiss was in a movie scene, adding that she sought her husband’s permission before accepting the role. “Since the beginning of my career, I have been selective of the kind of people I work with, and the kind of scripts I accept. “It’s part of having the spirit of excellence. My passionate kiss with RMD comes with the job. I try as much as I can to steer away from such romantic roles, but I can’t keep steering and find myself totally out. “However, my husband and I have an understanding. At the end of the day, I’m his wife; he is the one I go home to. He is the one I love. He is the father of my kids. “RMD and I also have a connection; we have done such a movie before. We both understand the nature of our work,” She told Goldmyne Tv.